Junior League of Annapolis, Inc. is entering a research year in which we will be considering the changing needs of our community and how JLA can help. 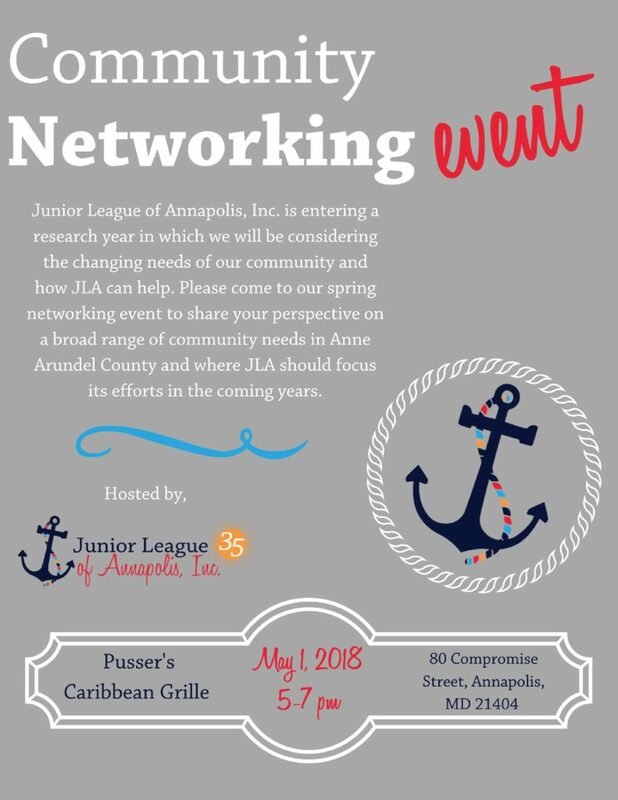 Please come to our spring networking event to share your perspective on a broad range of community needs in Anne Arundel County and where JLA should focus its efforts in the coming years. JLA been serving Anne Arundel County for 35 years and is dedicated to narrowing the achievement gap and focusing on the self-sufficiency of women and children.